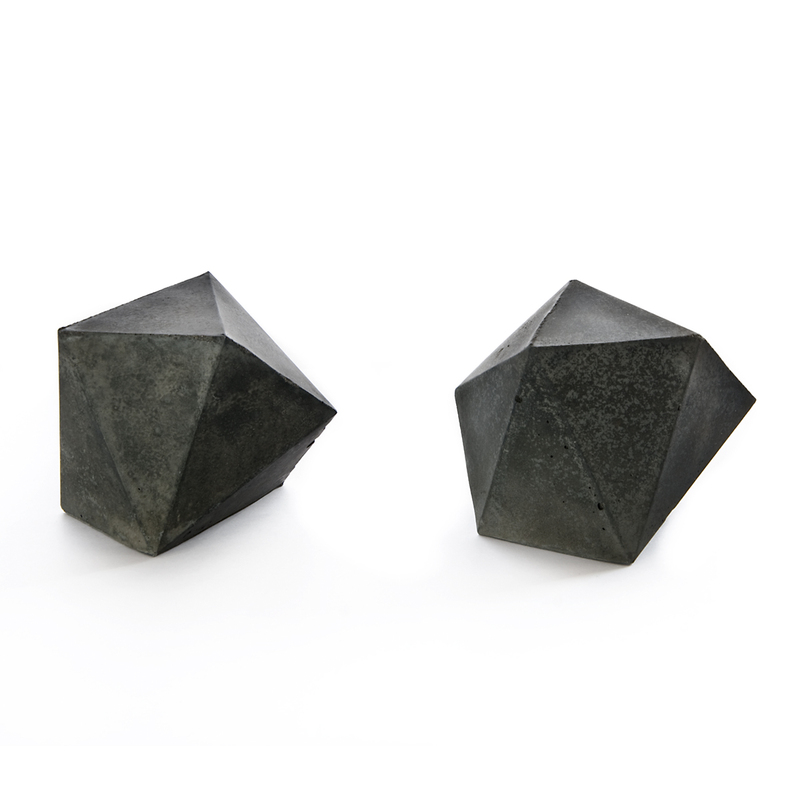 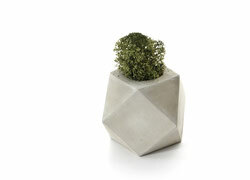 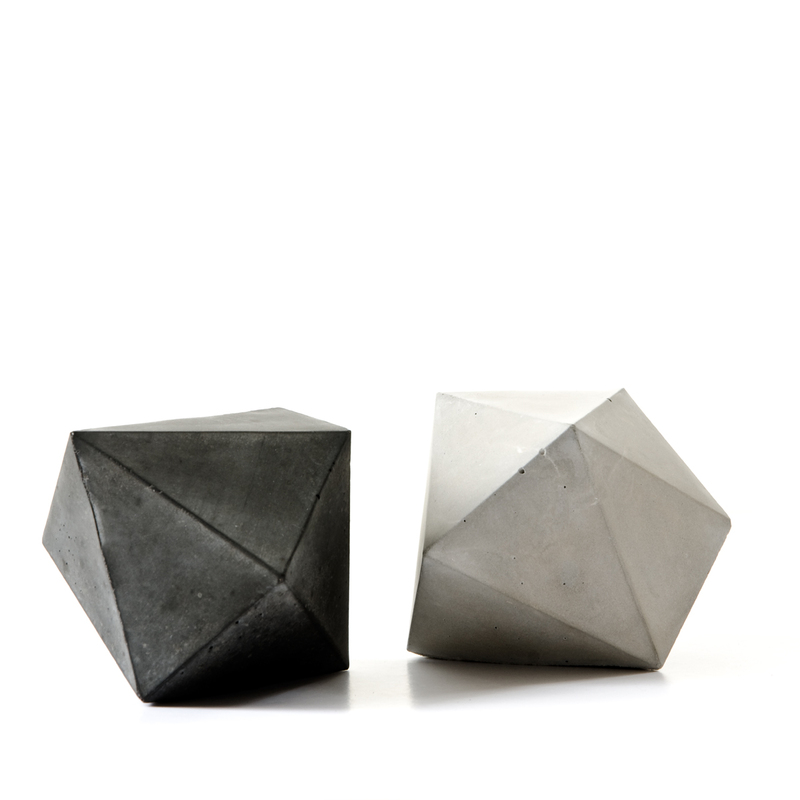 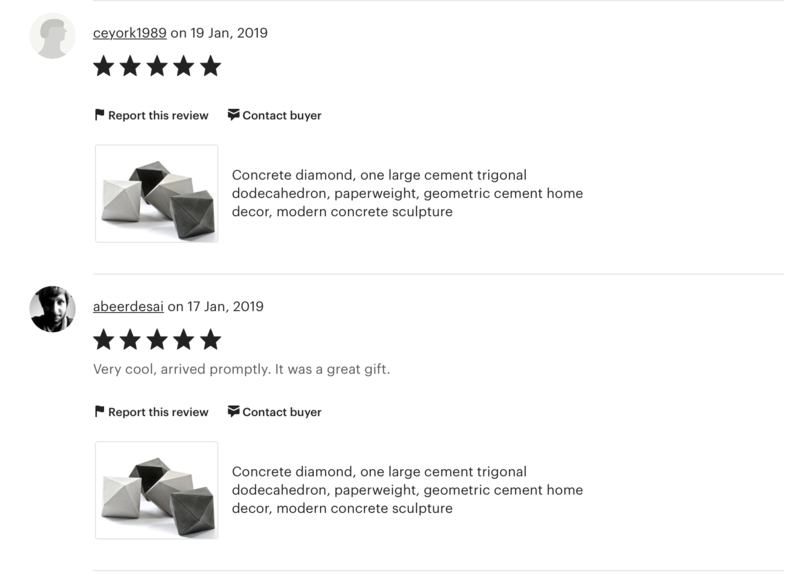 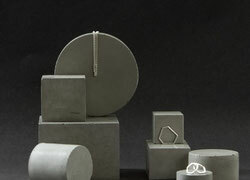 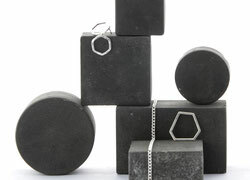 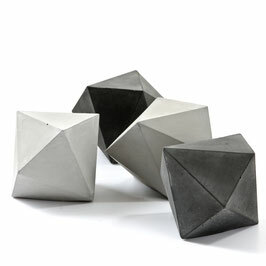 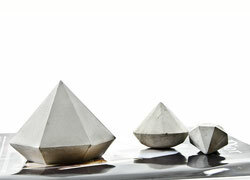 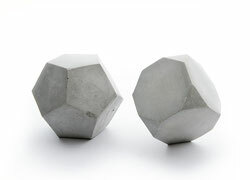 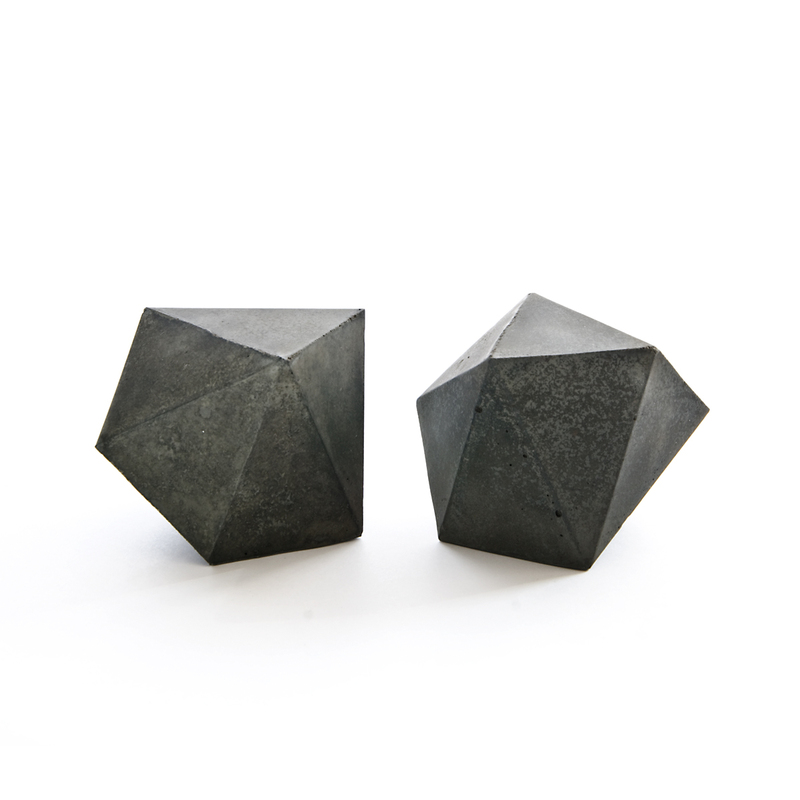 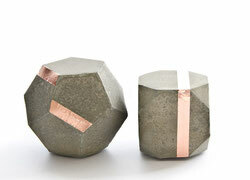 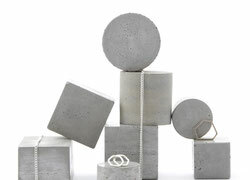 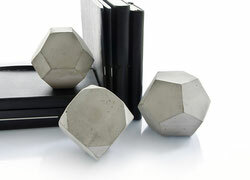 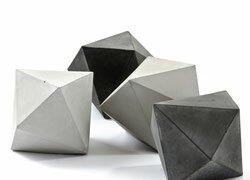 A modern industrial yet elegant geometric trigonal dodecahedron diamond concrete sculpture. 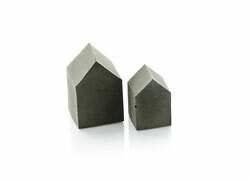 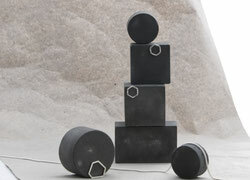 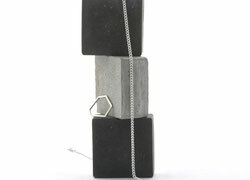 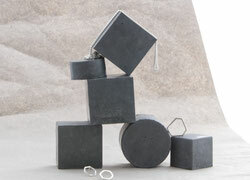 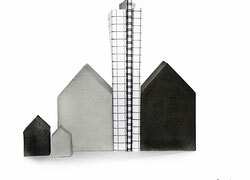 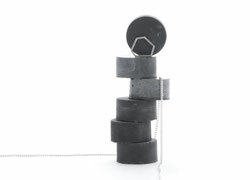 This minimal sculpture looks fabulous when placed on a stack of glossy magazines, next to books or simply on its own. 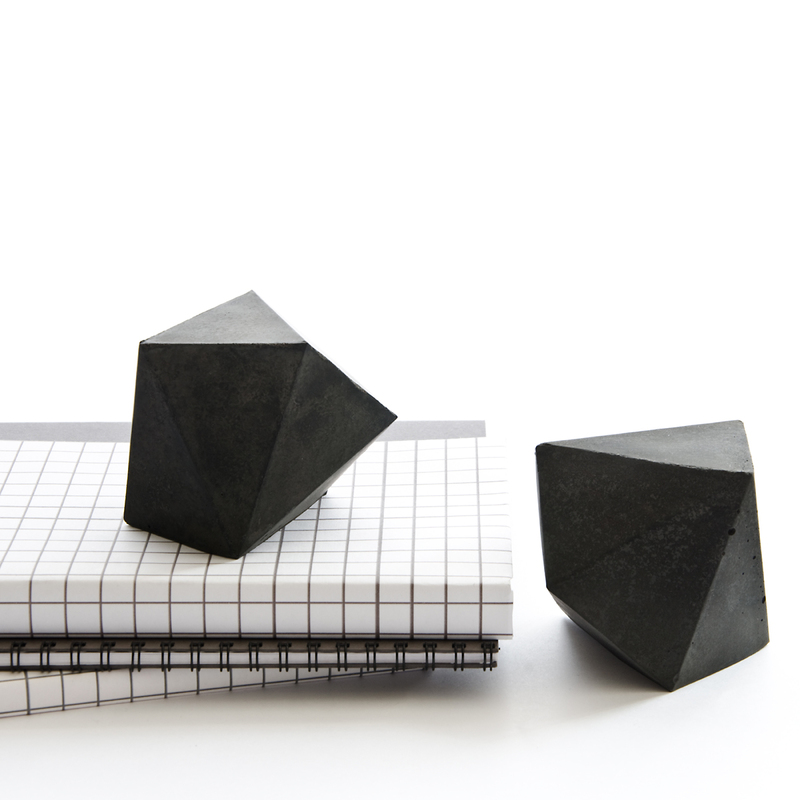 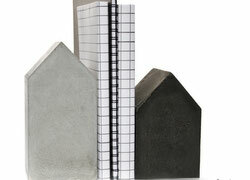 It makes a perfect accessory on your desk and can be utilised as paperweight or bookend for small books. 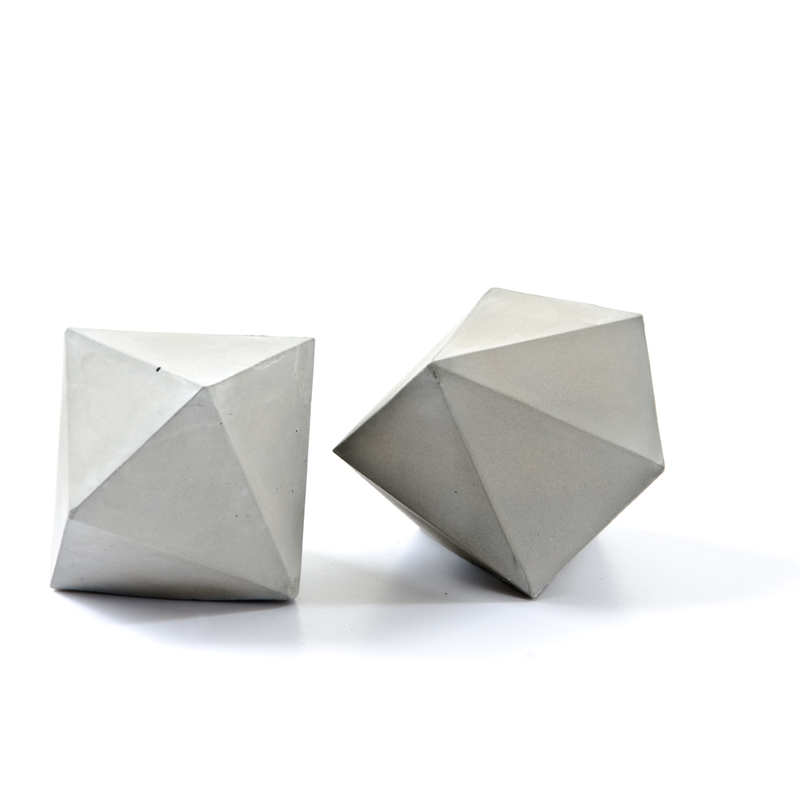 It creates a blissfully daring sculpture still on your sideboard, art shelf or between your favourite decor pieces. 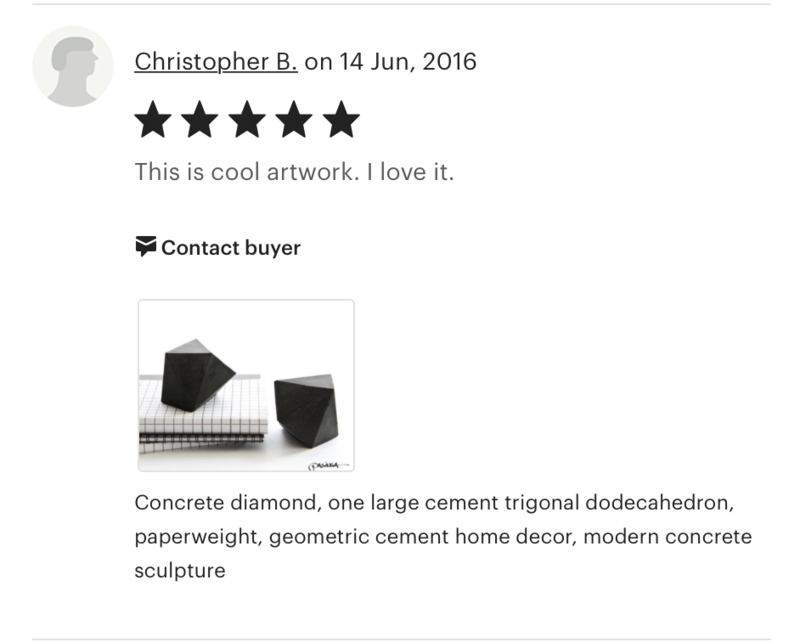 This has been gifted with great feedback to architects, designers, home makers and stylists and was well received by him and her alike. 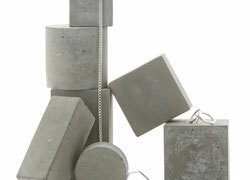 Finish: Concrete not painted or waxed, individually stamped with my name (PASiNGA).